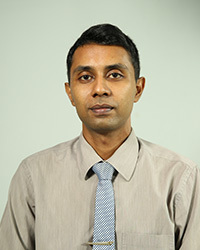 Ekanayake H.B., (2015), " Validating User Engagement and Effectiveness of Training Simulations A mixed-methods approach informed by embodied cognition and psychophysiological measures"
Simulation-based training has gained widespread attention recently as a response to drawbacks associated with traditional training approaches, such as high training costs (e.g. equipment), high risks (e.g. pilot training), and ethical issues (e.g. medical training), as well as a lack of availability of certain training environments (e.g. space exploration). Apart from their target training domains, many of aspects of simulations differ, such as their degree of physical realism (fidelity), scenarios (e.g. story), and pedagogical aspects (e.g. after-action reviews and collaborative learning). Among those aspects, designers have mostly focused on developing high-fidelity simulations with the expectation of increasing the effectiveness of training. However, some authors suggest that the above belief is a myth as researchers have failed to identify a linear relationship between the (physical) fidelity and training effectiveness of simulations. Most researchers have therefore evaluated the correspondence between the behaviours of trainees in both real world and simulated contexts, however, the existing methods of simulation validation using behavioural measures have a number of drawbacks, such as the fact that they do not address certain complex phenomena of skills acquisition. Bridging the above knowledge gap, this research reports on empirical investigations using an improved methodology for validating training simulations. This research includes an investigation of the user experience of trainees, with respect to the acceptance of virtual scenarios provoking a similar psychophysiological response as in real world scenarios, and the training potential of simulations with respect to the positive transfer of training from a simulator to real world operational contexts. The most prominent features of the proposed methodology include the use of psychophysiological measures in addition to traditional behavioural measures and the use of natural (quasi-) experiments. Moreover, its conceptual framework was influenced by contemporary theories in cognitive science (e.g. constructivism and embodied cognition). The results of this research have several important theoretical and methodological implications, involving, for example, the dependency of the effectiveness of simulations on the perceived realism of trainees, which is more embodied than has been predicted by previous researchers, and the requirement of several different types/levels of adaptive training experience, depending on the type of trainee. Ekanayake H.B., (2010), "P300 and Emotiv EPOC Does Emotiv EPOC capture real EEG "
The Emotiv EPOC headset (http://emotiv.com/) has become one of the lead-ing BCI equipment available today as a result of its low-cost (consumer edi-tion for $300-400, research edition for $500) and features (14 EEG channels plus two references, inertial sensors, wireless connectivity, etc.). Although it has been integrated in a vast number of BCI applications, yet, its use for research purposes is being questioned by many researchers. As a response to such concerns, this article has been published (originally on 25-12-2010) by including the results of an empirical evaluation of the Emotiv EPOC headset based on an oddball paradigm and the procedure for repeating the experi-ment for interested individuals. Today, the multimedia interaction domain is a developed area not only focusing on the presentation of information to the human user, but also get the human involved in computer modeled real world scenarios, such as computer games and elearning. In this relation, the computer can only process symbolic information and the knowledge is representation oriented. However, humans are biological creations having basically three different aspects: brain activation, cognitive behavior and emotional reaction. Currently, under human computer interactions, only the cognitive behavior of the human is recognized by the computer. As a result, humans do not show the same involvement when they are attached to real world activities and when the activities are decided by the computer. In multimedia computing, this problem is termed as perception semantic gap, arguing the main reason for this problem is the semantic incompatibility between the knowledge representation of the computer and the internal representation of the human user. However, modern cognitive science explains that human behavior can not be described without considering the emotional reaction revealing many relationships between cognition and emotion. Therefore, researchers are trying to recognize emotions using facial expressions of the human user. However, this approach does not provide a correct relationship, because the facial muscles are under conscious control of the subject, so the expressions can easily be faked. Psychophysiological explanations of emotional reaction describes better relationships between a person's true psychological behavior and his/her bodily (physiological) changes. Therefore, the work of this research tries to capture these bodily signals to determine the emotional involvement of the subject. Humans exist in a world with unlimited knowledge dynamics. Therefore, selective attention helps humans to filter out unwanted information from their senses. The visual attention plays an important role in this effort, because it gives a directional focus to the attended information in the outside world. Therefore, the research tries to capture the visual attention using biopotentials generated as a result of eye movement activity of the subject, which is a low cost solution compared to sophisticated and expensive techniques used today that returns the actual spacial coordinates of the eye focus. The attention and most other cognitive aspects of the human are controlled by a mental phenomenon called the consciousness. Yet, the consciousness is beyond any scientific explanation and can only be linked with cognitive emotional aspects using philosophical models. Therefore, the study also includes a proposal of a coherent model of human psyche which is then used to develop a psychophysiological evaluation framework that can be used to determine discrete levels of involvement of a subject to a multimedia interaction. Results of the experiments show the validity of the framework. This paper presents a practical application of autonomous robots - a robot that has the ability to locate a fire in a structured environment and extinguish it . The robot has built around the hybrid paradigm , where both the reactive and deliberative controllers are used . The robot â€™s ecological niche is on top of an electrically wired grid of arena. The robot gets the fire alerts through this structured network and navigates to the fire point through its own decisions . In addition, a person sitting at a central monitoring station sees the entire process of firefighting effort from a user interface updated by both the robot and the wired grid of arena . Other major concerns were preserving the efficiency and effectiveness at a higher degree . This paper proposes a simple, user friendly but more secure mechanism for user authentication. Developing countries should make necessary changes to the technologies in developed countries before using them in developing countries without blindly using technologies in developed countries. If they realize value of their cultural aspects and value systems they can have state of the art systems with fewer resources. This paper addresses how the traditional value system facilitates to have a user friendly but more secure user authentication system. Email has become one of the crucial medium of communication for todayâ€™s information society. As a result email system has improved in various ways to provide more privacy, capacity and accessibility. However the attention that has been gathered for improving the manageability of the content is very less. This has become evident when someone wanted to search for an attachment, sent by the person x, six months ago. The effort becomes worst if that person has already deleted the message to preserve his mail box capacity in a favorable limit. This paper examines the current email framework and proposes a global solution to enhance the easy retrieval of email attachments without introducing any improvements to email client programs. The solution uses the descriptive power of email messages to retrieve keywords to annotate email attachments, and later, one could easily locate a document recalling the memory he has had when the document was an attachment to an email message. Current email system is at a risk of loosing its demand because of its abuse. These abuses are ranging from receiving unsolicited emails to email frauds or repudiations. This paper discusses better approaches to overcome those limitations up to some extent with the concept of a trusted third party called email notarization authority.